In this day and age, when our workload can feel like an impeding tide that drowns us of energy in the evenings and on weekends, we need something to ground us. To calm us. To set us free. Horse riding can do this. They say horses have a human instinct like no other. Whether you're a first-timer or an intermediate, you'll find serenity – and a whole lot of fun – at the Cherbon Waters Equestrian Centre. Cherbon Waters at Burkank, about a half-hour drive south of Brisbane City, features a horse-riding school, ceremonial gardens and wedding reception centre. Specialising in romantic and themed weddings, including receptions, the centre can customise to taste. Surrounded by the Tingalpa Reservoir, a wedding at Cherbon Waters can mark that beautiful occasion with unforgettable memories. But if you're not there to get hitched – never fear – the Centre's main attraction are the horses. 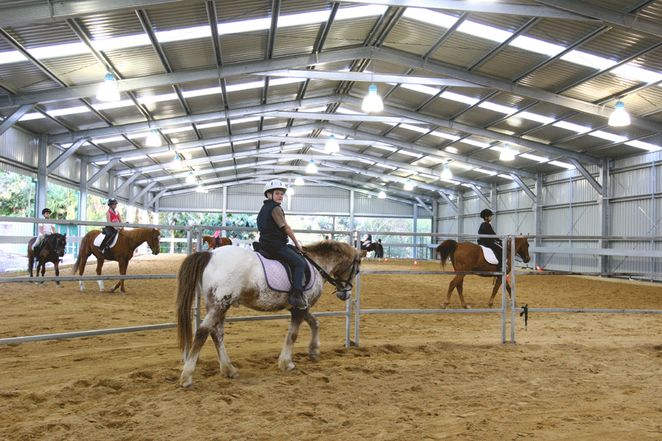 Cherbon Waters is a prestige indoor equestrian centre comprising the indoor arena and outdoor yards. This means lessons can be conducted though rain, hail or shine and into the evenings. 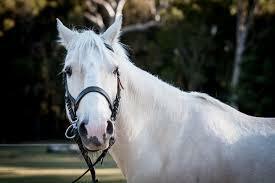 The Centre's instructors are passionate horse lovers, experienced with horses and riders of all levels. The main aim of Cherbon Waters is for all riders to have a safe and positive experience. The Centre offers riding lessons, programs and courses, as well as trail riding experiences. All the instructors at Cherbon Waters are passionate about horse riding and fully qualified to teach riders of all levels. They are professional in their work and ensure all riders are comfortable and confident enough to ride. Before the lesson starts, all necessary safety measures are taken and each rider is given safety equipment like a helmet and boots. Experienced riders are encouraged to bring your own horse. All horses are vaccinated and trained to accommodate first-time riders. There are many courses and classes conducted at Cherbon Waters. One of the most popular is Jumping and Dressage. The Centre prides itself on its first-class instructors and the high level f competency most of its students achieve. Gymkhana is yet another course, where riders are taught the rules and techniques for riding in a variety of gymkhana events, then are invited to test their skills against the clock. Courses costs around $60 - $80 per person. For beginners, Trail Riding is the best option, and you can chose to ride in a group or in private. The trail ride costs $55 per person. All necessary equipment is provided. Special weekend classes are conducted for a maximum of two students. These cost $70 - $75. For horse loving children, special activities are conducted every Saturday during noontime. Kids aged 6-12 years can be a part of this fun-filled lesson, where they can learn to ride and get involved in the care and maintenance of the horses. The pricing sounds great for the beginner lessons.